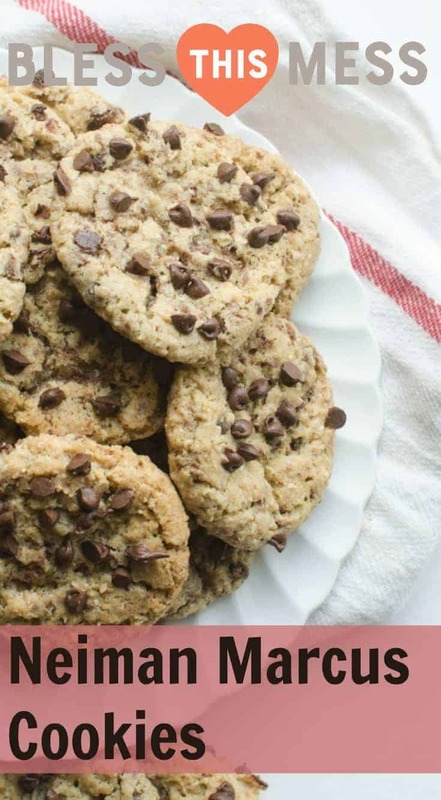 The famous Neiman Marcus cookie recipe made with ground oats, butter, and mini chocolate chips! 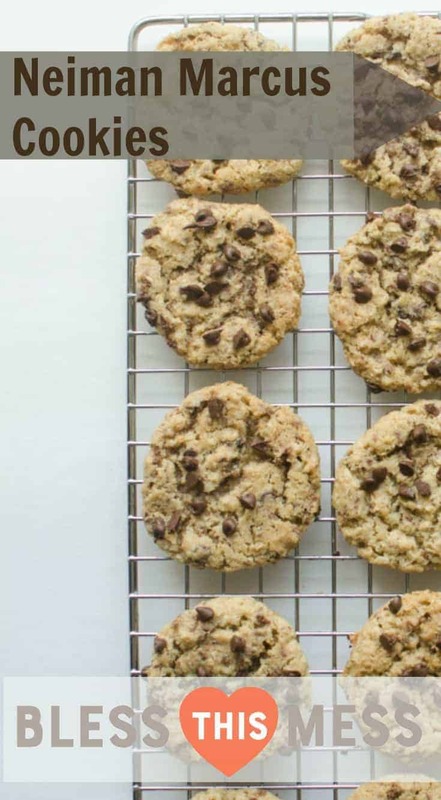 I have been hanging onto this recipe for far too long and I just can’t wait to share this fun chocolate chip cookie recipe with you. 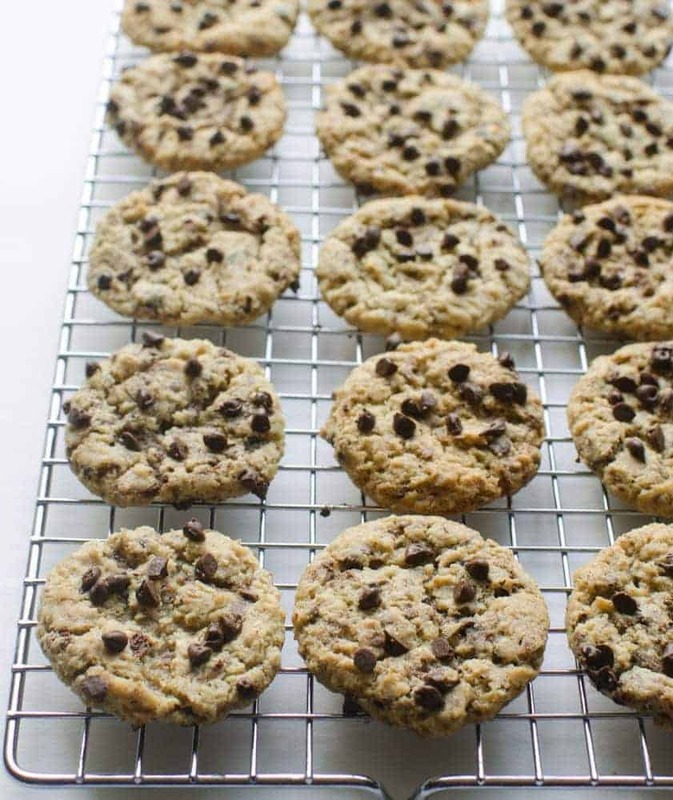 There’s a story floating around about famous Neiman Marcus cookies – someone asked for the recipe and then the restaurant billed them an exorbitant amount for the recipe. So to spite the restaurant, the woman shared it with all of her friends. I have no idea if that story is true or not, but I’m just glad this recipe isn’t a secret! 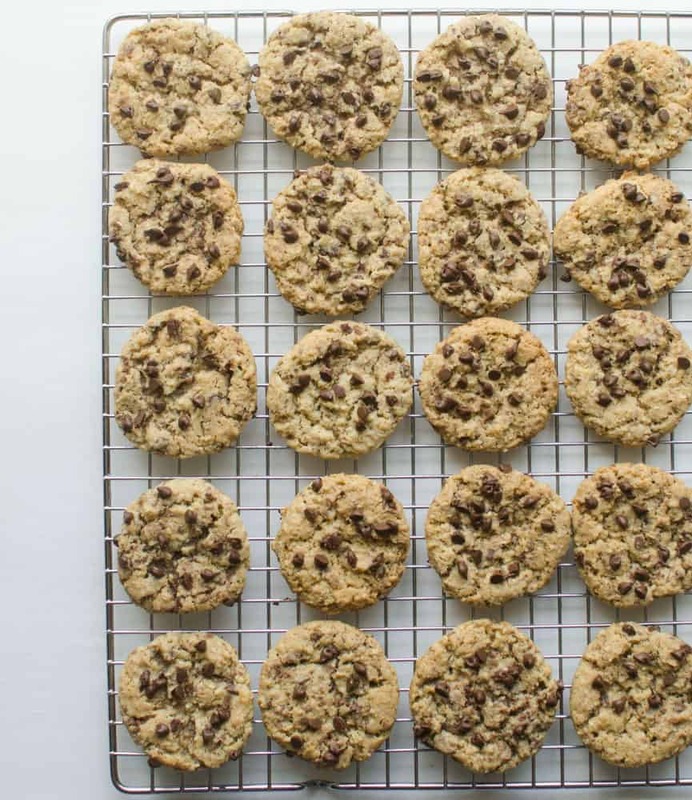 What makes this Neiman Marcus cookie recipe a little different than a traditional chocolate chip cookies recipe is that it has ground oats (which add great texture and flavor to the cookie), lots of butter, and mini chocolate chips which means you get a little bit in every bite. Ground oats can be made by placing dry oatmeal in a blender, coffee grinder, or food processor and processing until the oats turn into flour. It’s a small extra step, but it’s what makes these cookies unique. This recipe is from my sister-in-law. She always makes these cookies pretty small (as indicated in the recipe) and that is another thing that I love about them. When the cookies are mini, you feel like you can eat a bunch of them, right?! 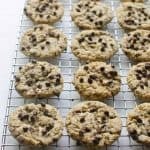 These are great to make when a crowd of kids are over at your house or for a party too since small cookies go extra far. Don’t even think about subbing margarine or shortening in this recipe… don’t. even. think. about. it. You can sub the grated Hershey bar for more mini chocolate chips, though the bar melts into these little pockets of chocolate and it’s wonderful. Measure out the oats first and then grind them into flour and use all of the flour it creates. My sister-in-law has a mini cookie scoop just for this recipe. I’m telling you, mini cookies are extra fun! 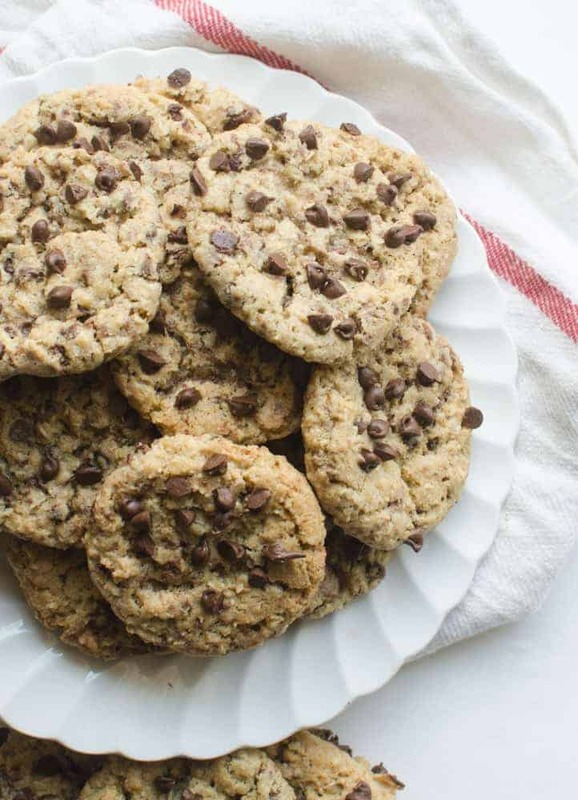 These cookies freeze great and can be made ahead as needed. Just store in an airtight container for up to a month and allow to come to room temperature again before serving. 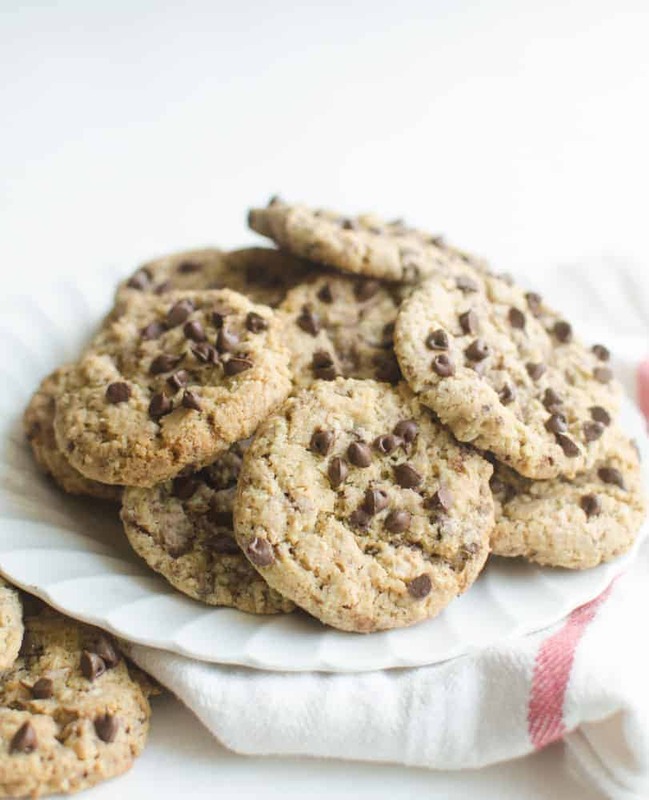 The famous Neiman Marcus cookie recipe made with ground oats, butter, and mini chocolate chips – sure to be a family favorite in no time. Add the oats to the jar of your blender and blend until you make a powdery oat flour. Cream butter and sugars together until light and fluffy using an electric or stand mixer on medium speed, about 5 minutes. Add eggs and vanilla, mix well to combine. Add the flour, salt, baking powder, baking soda and oatmeal flour. Mix well to combine. Fold in chocolate chips and the grated Hershey bar. Portion into balls using a small cookie scoop (about 2 teaspoons of dough). Bake 2 inches apart on a parchment lined baking sheet at 350 for 8 to 10 minutes. Move the cookies from the baking sheet and allow to cool on a wire rack. Repeat with remaining dough. That should get you pointed in the right direction! I can’t wait for you to try this recipe that my family loves and enjoys so often. It’s sure to become a family favorite in your house, too.